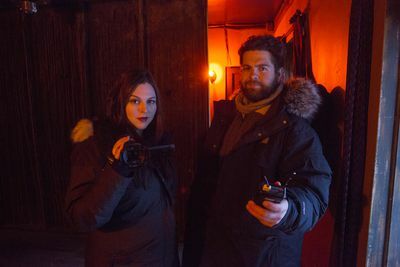 Travel Channel’s new series "Portals to Hell" follows television personality and executive producer, Jack Osbourne, and paranormal researcher and investigator, Katrina Weidman, as they investigate haunted locations purported to be doorways to the spirit underworld. Travel Channel’s new series, “In Search of Monsters,” takes viewers on a frightening hunt for the truth behind infamous and iconic monsters that brings their legends to all-too-real life. Paranormal pioneer Bob Magill and empathic investigator Tina Storer take on frightening, personal hauntings in America in the cult-classic “Ghost Bait." Using a shocking but effective method of isolation combined with sensory deprivation, the duo helps people overcome their fear of intense paranormal activity. Investigative reporter Christof Putzel explores history's most legendary and notorious mysteries. By decoding recently declassified documents, Putzel discovers new, or simply missed, clues and connections that could finally unlock decades-long mysteries surrounding legendary cold cases.